Beijing is the capital of China and is the nation's center of government, economy, culture, and international activities, as well as a transportation hub. It is one of the four municipalities of China together with Shanghai, Tianjin,and Chongqing.It has 18 disctricts and counties, with an area of 16,800 square kilometers and a population of 12 million. Beijing has a long history. As early as 480,000 B.C., Peking Man lived in the vicinity. It is also an ancient cultural city. It was established in 1045 B.C., and served as the capital of the Liao, Jin, Yuan, Ming and Qing dynasties. Beijing is also known as a tourist city for its many places of interest, including ancient buildings, royal gargens, temples, palaces, and modern structures. It is also a gathering place for many celebrities and artists. Urban construction has brought new changes to Beijing, making it both an ancient and a modern metropolis. 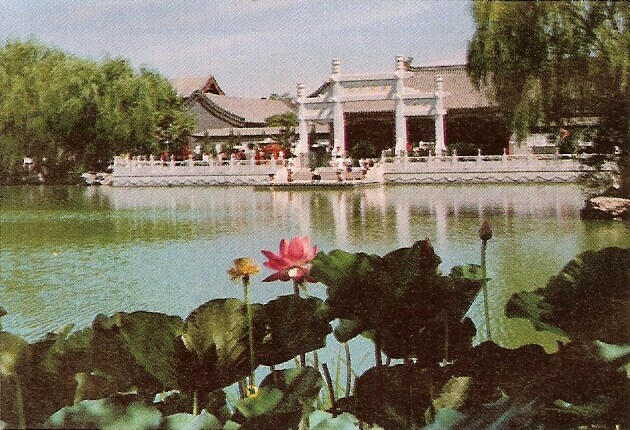 The Beihai Park was the Imperial Garden of the Liao, Jin, Yuan, Ming, and Qing dynasties. It is one of the oldest gardens in China. 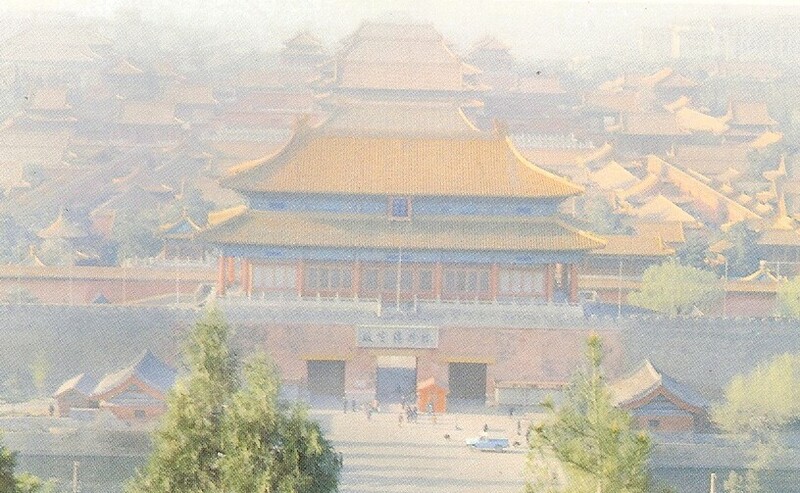 The Palace Meseum, formerly known as the Forbidden City, lies in the center of Beijing. Built between 1406 and 1420, the palace served as the imperial palace to the Ming and Qing dynasties. It has 9,000 halls and rooms, containing many precious relics, and is the largest palace in the world. The Beijing Zoo is the oldest zoo in China and has a vast vaiety of animal species, including the giant panda, the golden monkey, the white-lip deer, the red-crown crane, and many rare animals from around the world. 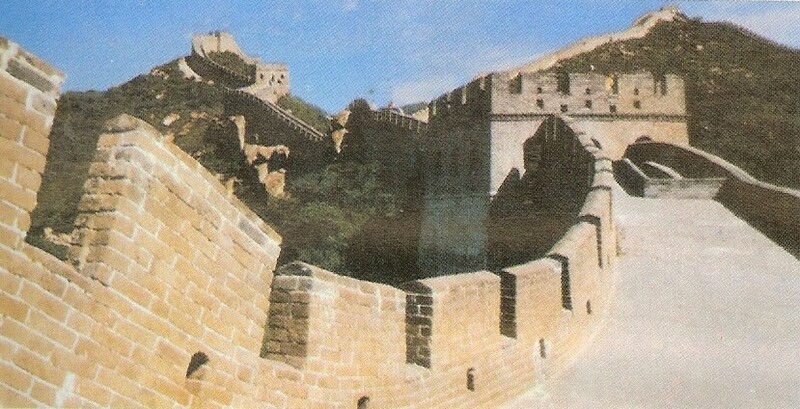 The Great Wall is a symbol of the ancient Chinese civilization. It was built as a defensive structure. Stretching 6,350 kilometers, it is one of the man-made wonders in the world. The best-preserved and most imposing section of the wall is at Badaling, 80 kilometers north of Beijing. But the beauty and magnitude of the wall can also be seen at Jinshanling, Mutianyu, and Simatai. Hutongs are a special feature of downtown Beijing, with more than 4,550 of them scattered throughout the city. Hutongs are the lanes on both sides of a courtyard containing compound houses. The best-preserved hutongs are those around the Mansion of Prince Yixin. Riding in old-fashioned pedicabs through these hutongs is a special tourist attraction for the Bejing trip. A royal garden of the Ming and Qing dynasties, Jingshan Park is located adjacent to the Palace Mesuem. It has the best panoramic view of the entire city. The 750 meter long Liulichang Cultural Street is populated by dozens of stores dealing from second-hand books, antiques, curios, traditional Chinese stationary, paintings, calligraphy, to arts and crafts. Erected in 1189, the Marco Polo Bridge is the oldest and grandest arch bridge in Beijing, spanning the Yongding River in southwestern Beijing. This was the location where resistance against the Japanese war invasion began, and a memorial hall was build to commemorate the incidence. Covering an area of 40 square kilometers, the Ming Tombs is a group of mausoleums of 13 Ming emperors and their emperesses and concubines. Two of the tombs, Changling and Dingling, are open to the public. The Dingling is the most renown tomb with an underground palace. Established in the early Qing dynasty, the 500 year old Qianmen Market is a cluster of ancient shopping streets lined with quite a few old stores and newly emerged shops. 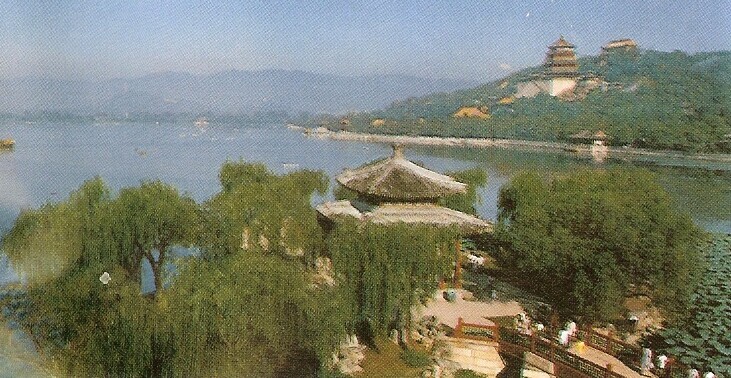 The Summer Palace was a grand imperial palace and a royal garden of the Qing dynasty. It is an outstanding example of Chinese classical style imperial garden. 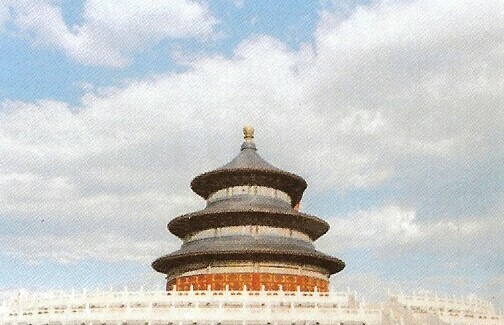 The Temple of Heaven was built in 1420 and was the place where the emperors of the Ming and Qing dynasties pray to heaven for good harvests. It is the largest temple complex in China. It is located in the center of Beijing. Tian'anmen Square covers 400,000 square meters and is the largest city square in the world. 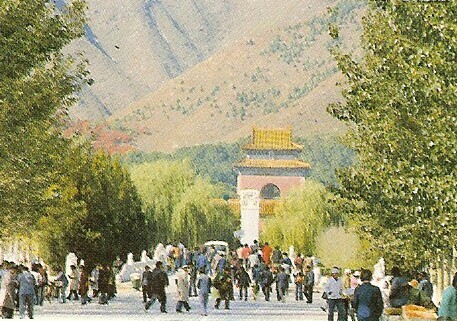 Tian'anmen (the Gate of Heavenly Peace) was the front gateway to the Imperial Palace in both the Ming and the Qing dynasties. 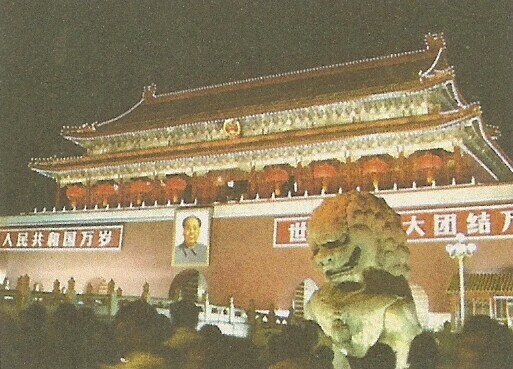 A picture of the Tian'anmen Square is depicted in the center of the Chinese national emblem. The inauguration ceremony of the People's Republic of China was held at the Tian'anmen Square on October 1, 1949. Located to the east of Tian'anmen Square, the 500 year old Wangfujing Street is one of the busiest shopping streets in Beijing. Located to the west of Tian'anmen Square, the Xidan Shopping Street encompasses Xuanwumennei Street and Xidan Street North. It is one of the busiest commercial centers in Beijing. The bazaar occupies a narrow, 400 meter long strip on Xiushui Street in the embassy district near the Temple of the Sun in the Chaoyang District. There are more than 300 booths selling clothes, arts and crafts. The Yonghegong Lamasery was built in 1694 and is the largest lamasery in Beijing. In the tower there is a standing figure of the Buddhist, Maitreya, eight meter in diameter and 26 meter tall carved in sandalwood. The Yuanming Yuan was an imposing imperial palace built during the reigns of Emporors Kang Xi and Qian Long of the Qing dynasty. Unfortunately, it was destroyed by foreign invaders. The ruins of Yuanming Yuan are well-preserved and are open to the public. These were the royal temples for ancestor worship during the Ming and Qing dynasties and have become parks during the 1914 and 1924 period. Other attractions include the Ancient Observatory, the Temple of the Earth, Fragrant Hills Park, the ruins of the Chinese Ape-Man, the China Ethnic Culture Park, the Big Bell Temple, the World Park, the Grand View Garden, the Taoranting Park, the Temple of Pool and Cudrania, and the Longqing Gorge. Disclaimer: The information on this web page are subject to change. Yutopian Enterprises is not responsible for the accuracy of the information on this page. It is the responsibility of the visitors of this page to verify the information before using.